1870A52H06 Thyristor. New. (26) 3 300 110 00 Switch. Refurbished. A.O. Smith F42D05B08 Electric Motor. ABB A16-40-00. 230-240V 50Hz / 240-260V 60Hz. Working Pull. ABB S 2022-D6 Circuit Breaker. E 76126. Used. ABB S 262, Two Pole, E 76126 Breaker. Used. Advanced DRN4 Control Technologies (ACI) DRN4. Refurbished. Airpax IEG66-28195-3-V Breaker. Refurbished. Airpax LELK1-1REC5-32148-60-V. New. Al Electrolytic Capacitor 100,000 uf -10+30% 63V. New. Allen Bradley 700-HN222 Screw Terminal Socket. New. Allen-Bradley 178613. New. 3 Phase Line Reactor. Allen-Bradley 194E-E16-1753 Disconnect Switch, Used. (W24) Allen-Bradley 700-HG47A1 Screw Terminal Power Relay, (8) Asco 0787104 Solenoid Valve Coil. Used. Asco 7J1132K Solenoid Valve Coil. Used Asco 96-619-1-D Valve Coil, Volts 120/60, I5 110/50, Solenoid. Asco MP-C 077 A99 Solenoid Valve Coil. Used. Asco MP-C 077 B07 Solenoid Valve Coil. Used. 236-170-1. Asco MP-C 077 C01 Solenoid Valve Coil. Used. 236-170-1. Asco MP-C 077 D02 Solenoid Valve Coil. Used. 236-170-1. Asco MP-C-077 A97 Solenoid Valve Coil. Used. 236-170-1. Asco MP-C-077 B88 Solenoid Valve Coil. Used. 236-170-1. Asco MP-C-077 C00 Solenoid Valve Coil. Used. 236-170-1. Asco MP-C-077 C02 Solenoid Valve Coil. Used. 236-170-1. Asco MP-C-077 D96 Solenoid Valve Coil. Used. 236-170-1. Asco MP-C-080 Solenoid Valve Coil. Used. Basler BE30089001 Transformer. Working Pull. (O) Basler BE32561001 Electric Transformer. Working Pull. (O) BOSS CubeFuse TCF Safety Switch. Used. Buss NOS-6 One Time Fuse. C-H 450 Toggle Switch. Refurbished. Carling Technologies CA1-X0-09-576-A21-MG Breaker. Carlingswitch 112-0033-004 Circuit Breaker. Refurbished. Carlingswitch 320.854338 Circuit Breaker. Refurbished. Carlo Gavazzi RS 302 240 25 24. New. 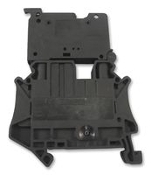 Cleveland C4011001 Contactor Spring 32A Loaded. New. COC-1433 CCF Solenoid Valve Coil . Used. COC-1436 CCH1 Solenoid Valve Coil. Used. COC-1445 CCH1 Solenoid Valve Coil. Used. Comar C-11358-0. 24V.D.C. 1/4 H.P. Refurbished. (W25) Cooper Bussman NOS-3 Fuse. Cooper Bussmann BP/FRN-R-35 Fuses. 2 Pack. Cooper Bussmann BP/NON-20 Fuses. 2 Pack. Cooper Bussmann BP/NON-40 Fuses. 2 Pack. Cooper Bussmann BP/NON-50 Fuses. 2 Pack. Cooper Bussmann BP/SL-30 Fuses. 3 Pack. Cooper Bussmann BP/T-8 Fuse. New. Cooper Bussmann J60100-3CR Fuse Block. New. Cooper Bussmann T60060-3SR Buss Class T Fuse Block. Used. Cutler Hammer 1225C79G01 Circuit Breaker. New. Dayton (1) 5X837N Relay. DPDT, New. 16AMP 8 Pin. (8) DINnectors DN-LA100 Marking Tags. New. DINnectors DN-S1210 Separator. 100 Count. New. E-T-A 45-700-P10 Switch. Refurbished. Eagle Signal B856-500 Timer. Used. Eaton Heinemann JA3S-T9-A-0030-10E Circuit Breaker. Emerson 6X544 Alco Controls X-13758-7006 Solenoid Coil. Used Emerson X-13758-7106 Solenoid Coil 24V 50/60HZ. Used. Federal Pacific 60 AMP. 2 Pole Stab-Lok Breaker. Federal Pacific Electric KG 588 Circuit Breaker. Federal Pacific LK-6187 Circuit Breaker. 30 AMP. Ferraz ATM30, Shawmut AmpTrap ATM30, 30 AMP Fuse. New. Ferraz Shawmut 20308R 3 Pole Fuse Holder. Ferraz Shawmut 30313. 3 Pole Fuse Holder. Ferraz Shawmut 60308R. Refurbished. 3-Pole Fuse Block. FLKM 2291927, 16/MCSO379, 16/MCV/S079. New. (10) Fulham WH2-277-BLS Solid State Ballast. New. (30) Fusetron FRN-R 20 AMP. Lot of 5. Cooper Bussmann. Fusetron FRN-R 5 AMP. Lot of 6 Fuses. Used. P23. Fusetron FRN-R 6 AMP. P23. Lot of 6. Used. Gai-Tronics 702A Enclosure. New. F6412 12. GE 97F4582 Capacitor. Used. 440VAC 60Hz. GE Industrial Solutions CR123C151B, 3 Per Order. New. (W24) GE P9EPE01 Pilot Device, Enclosure, 1 Hole, Polycarbonate. New. General Electric 15 AMP Breaker. Refurbished. General Electric 15D21G003 Magnetic Coil. General Electric TQL-AC 50 AMP Breaker. Refurbished. IEC 947-3 600V Pole Switch, VDE 0660. Used. Keystone MH-175A-P-KIT, 175W Metal Halide Ballast. New. Leviton 70115-001-001 Z-MAX Plus Keypad. Working Pull. Leviton EZ-MAX Plus 24 Relay Panel Box. Used. Leviton OX-70121-00-00-01 Z-MAX Plus 24 Circuit Slave. Leviton Relay-STD Z-Max OX-70125-00-00-01 Relay. Working Pull. Leviton Z-Max Assy Card OX-70123-00-00-01. Working pull. Littelfuse NLN-6. NLN6. 6 AMP Fuse. LT Electric LD-2000U 2K Step-up Transformer. LT:2000U. Used. Lutron PP-20 Power Pack For Lutron Ballast Only 120/277V (7) Magnecraft W78ARCSX-9 Relay. Used. MagneTek HE3F711N, SER39J, 12531J, New. Mallory 341-409MFD Motor Start Capacitor. Used. Mallory CGS153U075V5L Capacitor. 15,000 uf 75 VDC. (29) Mallory MSB4R33028N Capacitor 28-33 MFD 330VAC. Used. Market Forge Electro-Mite 2156-7031 CF 120V Solinoid. MCG MC1D25004, 4 Pole 25A AC3 120VAC Coil. MKS LCX-X228 Transformer REV 01. New. Montgomery Elevator 36244, 9249 T Relay. Montgomery Elevator No. 42844 Relay. New. Murray 63837 40-AMP Breaker. 2 Pole. Refurbished. NGM 61A1D110145NNTC Motor Start Capacitor. Used. NGM 61B2D120161NNME Motor Start Capacitor. Used. Nichicon LNR1K153M Capacitors 80v 15000uf With Connections. New. Orman 2475Y7 Socket Relay; Track DIN Mounted Socket . (W23) Ormon MY2 Power Relay. Working Pull. 1575YU. (W23) Packard PMJ324 Motor Start Capacitor. 324-388 MFD. Used. Phoenix Contact 3036466 ST 6-Twin. New. Phoenix Contact Model 8323 Converter. RS-232 to RS-422. (10) Phoenix Contact TYP UT 6-HESI. Fuse Modular Terminal Block. Quam-Nichols QC 10 Power Transformer. New. (26) R.S.R. Electronics SS4-91A32C2A12C05. New. RTH 15 Amp Type-SL Fuses. # 278474. 050428066348. RTH 20 Amp Type-W Fuses. # 278476. New RTH 30 Amp Type-TL Fuses. # 278475 Two per package. Schneider Electric 9001KA3. KA3 9001, Series K. Used. Schneider Electric GV2-P20 / 13-18A Starter, Used. Schneider ZB4 BV04. 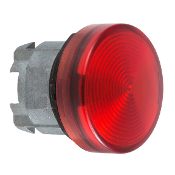 Indicator Part; Head With Red lens. (10) Selco 0A180 Sensor. New. Sensorswitch PP20 Enclosed Energy Management Equipment. New. Sensorswitch SP20 Enclosed Energy Management. New. (W24) Shape Electronics Z2096 Transformer. Used. Siemens ICGK, I-T-E Ground Bus Kit. New. (W24) Siemens MCS603R Disconnect Switch. New. 680.000156. 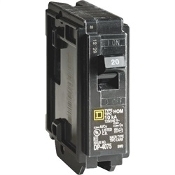 Siemens Q115 Circuit Breaker; 15 AMP, 120V. Sky Electronics SKAP-2C Relay Coil. New. Souhegan S320M 4 Transformer. New. Souhegan SM175Q-K 175W MHM57 Ballast Kit. New. Spal 195 Fan Harness, (195FH). New. Spal 195FH. Spec Lin L4D-090100 Class 2 Power Supply. New. (28) Square D 40 AMP Circuit Breaker. Refurbished. 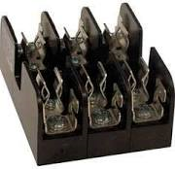 Square D 8910DP12V02 Contactor; Definite Purpose. New. 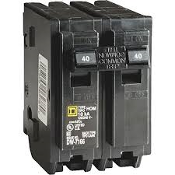 Square D MG24449 Mini Circuit Breaker. 2 Poles. New. Square D One Pole Circuit Breaker. HOM120CP. Stab-Lok Circuit Breaker. 60 and 9 AMP. Refurbished. Stancor A-8078 Audio Transformer. Voice Coil. New. 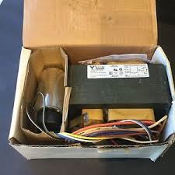 Sylvania Osram, 47647, LU44/Super5-Kit Ballasts Core. Rebuilt. Telemecanique LR2-D1308 Overload Relay. (W23) Telemecanique LR2-D1310 Overload Relay. Working Pull. (W23) Telemecanique ZBE-204 Switch. Contact Block. Woertz 43741 Schirmanschlussklemme Cable Connector. New. Yazaki Aroace IH T-E94V-1 Control Panel Board. Working Pull. Yazaki Aroace UL-LT-C Board. CH-L100. Working Pull.